Part of the Crossrail network, Woolwich Station will take passengers to Canary Wharf in eight minutes, to Liverpool Street in 14 and to the shops of Bond Street in a speedy 22 minutes (knocking 13 minutes of the previous journey time) when it opens in December 2018. A train every two and a half minutes at peak time will run in each direction terminating at Paddington in the west and Abbey Wood in the east. 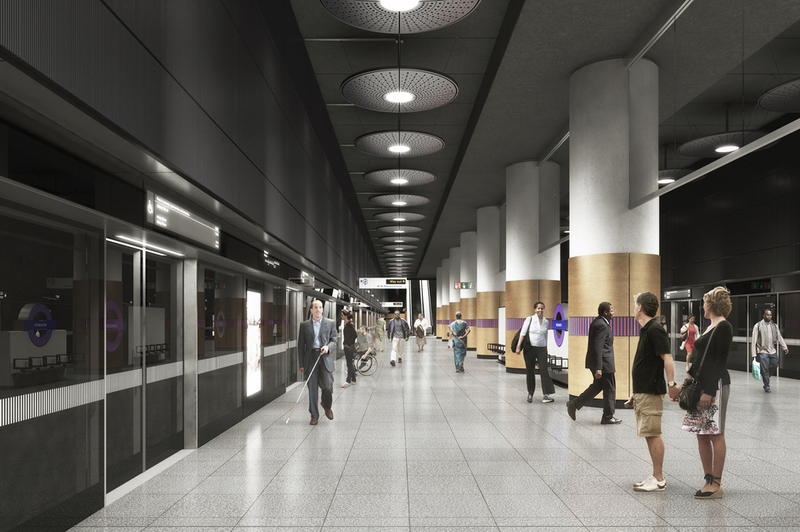 When the route fully opens in December 2019, passengers will be able to catch Elizabeth line services from Woolwich to Heathrow and Reading in the west and Abbey Wood and Shenfield in the east. Although essentially a 276 metre-long box, the bronze clad station entrance opens out onto Dial Arch Square, a green space, flanked with a series of Grade I and II listed buildings. What are the best dining options near Woolwich Station London? Woolwich Station gyms, sporting activities, health & beauty and fitness. The best pubs near London Woolwich Station. Woolwich Station clubs, bars, cabaret nights, casinos and interesting nightlife. Where to have your meeting, conference, exhibition, private dining or training course near Woolwich Station. From cheap budget places to stay to luxury 5 star hotels see our special offers for Woolwich Station hotels, including DoubleTree by Hilton Hotel London - ExCel from 91% off.